emutel Solo is a small, portable lightweight battery powered basic rate ISDN and IDSL network simulator. 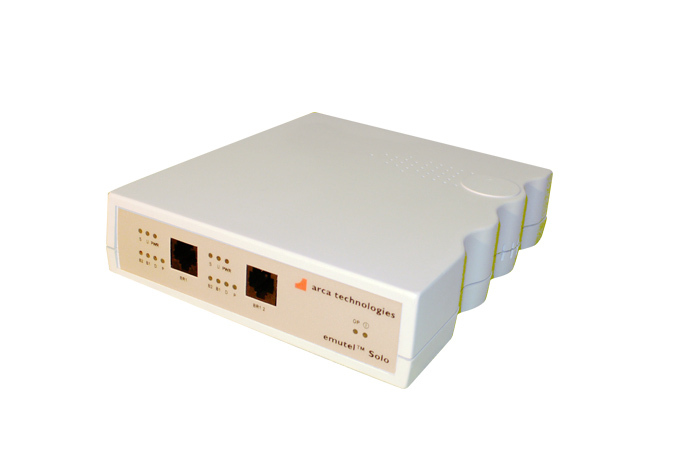 With 2 software switchable S/U interfaces and the choice of either Euro-ISDN, North American or NTT support. emutel Solo allows you to test and demonstrate all types of BRI equipment on one compact unit. Providing all the standard features but also many others that its competitors don't include. It is important to emphasis that the emutel Solo is a Hardware ISDN simulator using the industry standard ISDN chip set for reliability and accuracy. Need more than 2 ports? emutel Solo is an ideal demonstrator tool that comes in a padded carry case for your convenience. There is a universal power supply which switches between 240V and 110V plus the added benefit of a rechargeable internal battery so you can use the unit anywhere - at customer sites, during presentations or at exhibitions at home or abroad. 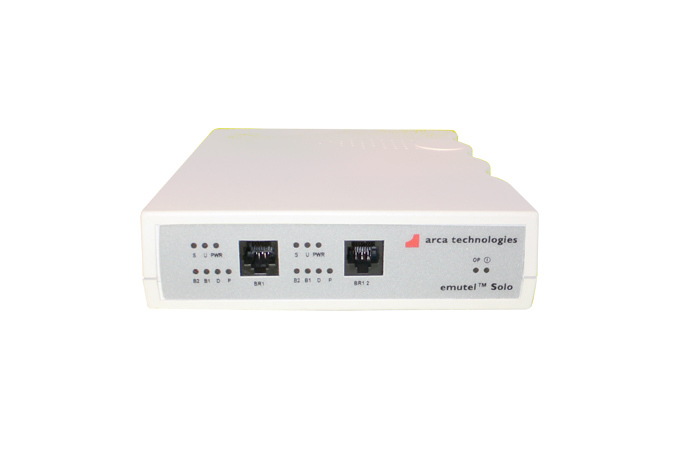 By simulating the operation of a Central Office switch, Emutel Solo provides two software selectable ISDN (S [4wire]) / U [2wire]) connections which may be used just like regular ISDN lines or employed to carry out equipment testing. Almost every feature of Emutel Solo can be customised, for example, port telephone numbers can be changed, special numbers to activate specific network conditions such as User Busy or Call Rejected can also be set. Line power can be switched on or off and delays can even be introduced into the B channels to emulate satellite links. Emutel Solo is also extremely easy to use with indicator LEDs showing at a glance what each terminal is doing and a windows application program allowing simple device configuration. Emutel Solo is powered from an external universal power unit or from an internal 0.8AH 12V rechargeable battery. At just 1.5 Kg Emutel Solo is easily portable and, since terminals can be powered directly from the interfaces, it really is the ideal system for use at demonstrations, presentations and exhibitions. Price and availability of Emutel Solo can be requested by contacting the Arcatech sales team. emutel Solo - ISDN BRI-S and BRI-U Simulator Presentation.